Quartz countertops, also known as engineered stone countertops, are made from combining ground quartz with various resins and pigments, which creates a very hard, granite-like surface. They are generally considered to be one of the more durable types of countertops. Because of the resins, these countertops are stain resistant, scratch resistant, and nonporous, meaning that unlike granite countertops, quartz countertops never need to be sealed. The appearance of quartz can now look very close to natural stone, and you can choose from different finishes for your countertop, such as polished, honed, embossed, or sandblasted. 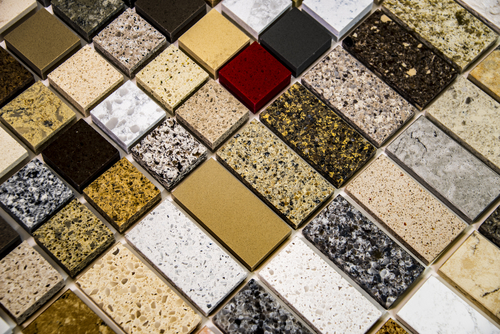 Another factor influencing the look of your countertop is how the quartz is ground. 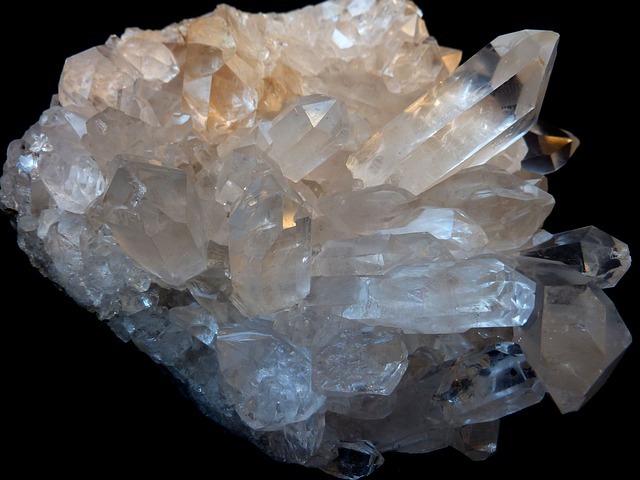 Whereas a finely ground quartz produces a smooth look, coarsely ground quartz produces a more flecked appearance. One of the great things about quartz countertops is that because pigments can be added in with the ground quartz, these countertops come in a wide range of colors and patterns. All kinds of creams, greys, blacks, browns, blues and more are available. Although the name is similar, quartz and quartzite countertops are very different. Unlike quartz countertops, quartzite countertops are made from a natural stone. While quartz can be made in a wide range of colors, quartzite countertops do not have as many color options. When it comes to durability, quartzite is more heat and scratch resistant, but quartz is flexible and is less prone to chip compared with natural stones. If you like the look of marble, quartzite is a great choice. It looks very similar to marble, but is much more durable and usually less expensive. 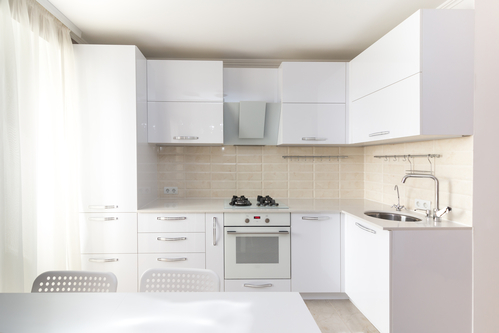 White countertops are a popular choice, and there all sorts of white quartz options. Some have lots of contrast, and others have little or no contrast at all. 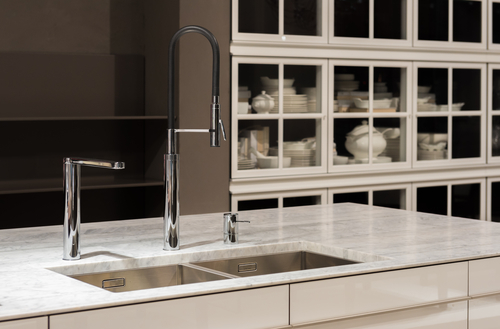 Because quartz is stain resistant, it might be a great option if you’re wanting a white countertop. Although less expensive than most marble, quartz is going to cost more than wood or plastic laminate countertops. It falls into the same price range as granite, with material costs beginning at $60 per square foot but often being $75 to $100 per square foot. Including installation costs, expect to be paying $100 or more per square foot for your quartz countertop.